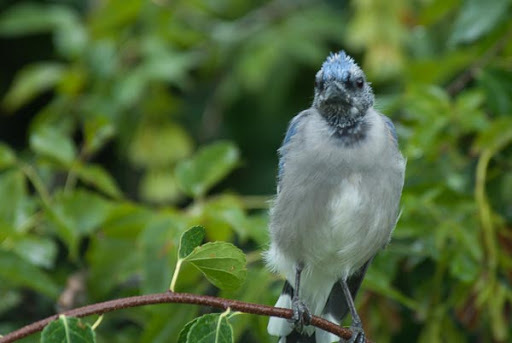 I've been seeing a lot of young birds that appear to have recently left the nest - tufted titmice, cardinals, grackles, and now blue jays. hahah, I'm glad I found this photo. 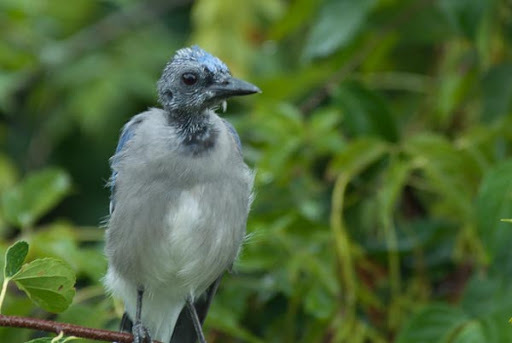 I've got a fledgling blue jay on my porch and it's looking pretty rough.... all the other photos online of blue jay fledglings look all neat and tidy.... so, glad to see yours looks similar.